"No Rules. No Mercy. Pure Fighting." 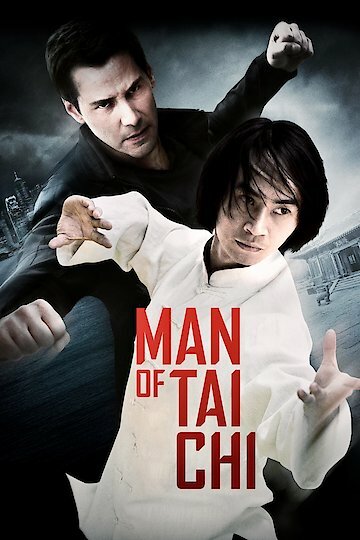 Man of Tai Chi is an Americanized martial arts movie based on the art of Tia Chi. This film not only stars Keanu Reeves but he directed it as well. This was the first movie on which he has ever been the director. In this film, in Hong Kong the main character is the last student of Tia Chi still alive. He finds that he needs money in order to keep his temple from being torn down by a group of real estate developers and to support his parents. He finds an underground fighting ring where he faces different opponents and makes money quite easily. Even as the opponents he fights get better and stronger he continues to win and become a better fighter each time. After finding out that all of this effort may have done nothing to save his beloved temple he is enraged and begins to use this rage in his fights getting him deeper and deeper into this underground fighting ring. Man of Tai Chi is currently available to watch and stream, download, buy on demand at Netflix, Amazon, Vudu, Google Play, FandangoNow, iTunes, YouTube VOD online.